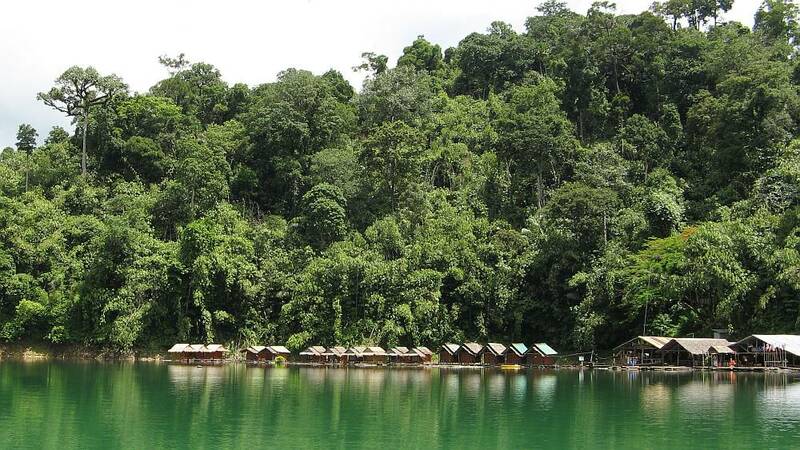 Montania Lifestyle Hotel offers a variety of trips to discover the beautiful Khao Sok National Park. Every activity starts directly from the Hotel and can be booked at short term at the reception. 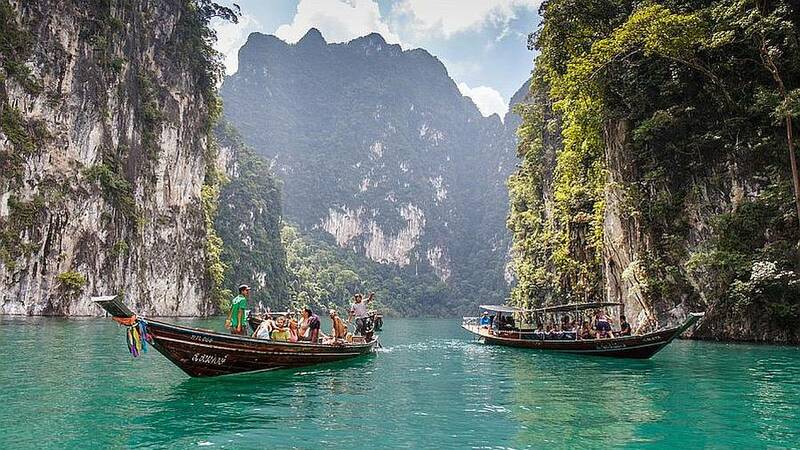 Khao Sok National Park is one of the most beautiful national parks in Thailand. 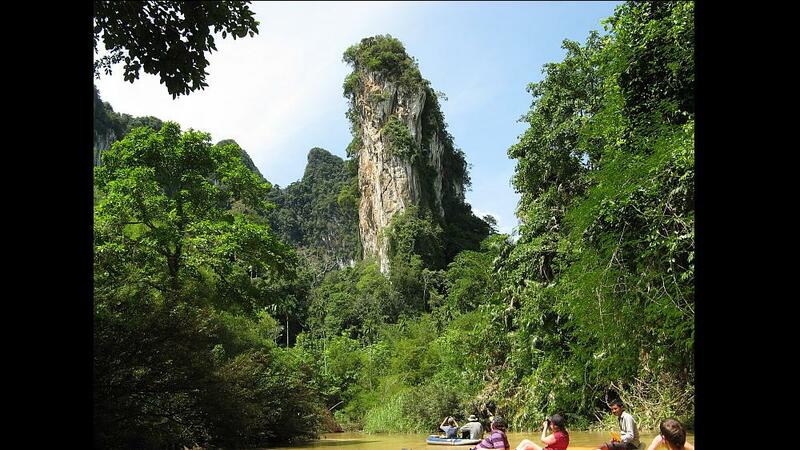 The park has a general topographic composition of Limestone Mountains. The highest peak to reside in the park measures at 961 m. above sea level. The area in which the park is located contains highly acidic, sandy soil that is easily eroded during rainstorms. 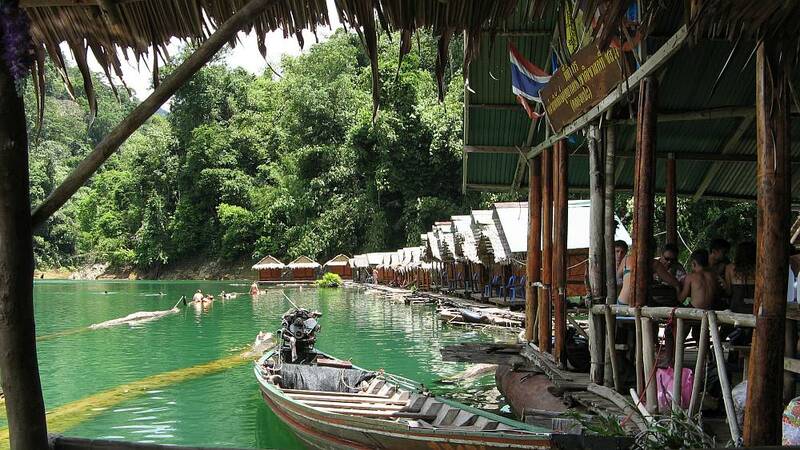 The village Khao Sok is located in the entrance of the National Park (about 60 kilmoeters west of the dam) and continues to build more resorts to increase its capacity to visit this jungle region. 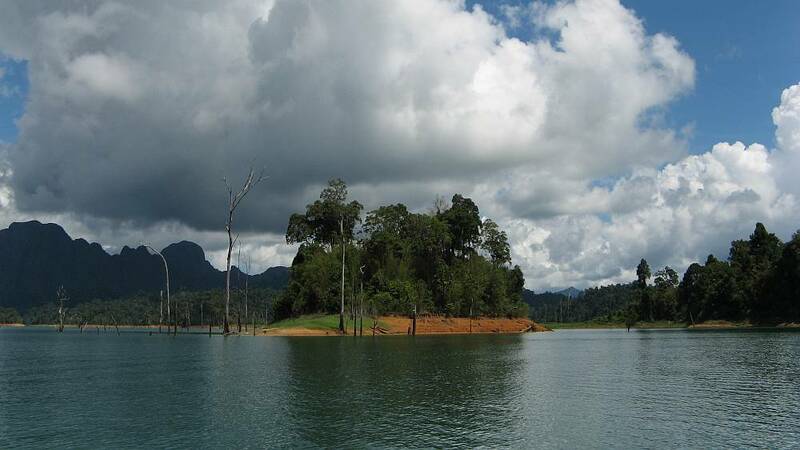 The access to the lake at Ratchaprabha dam is further south-east in the Ban Ta Khun distinct, reachable on highway 401 approximately half way between Khao Sok and Surat Thani. 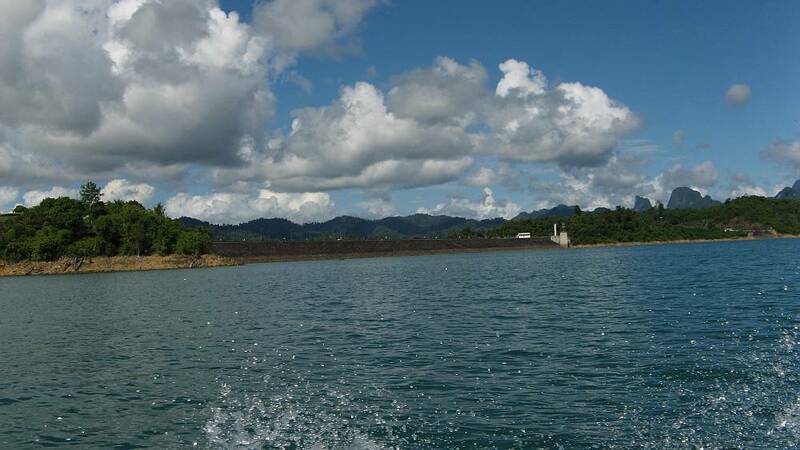 The dam is the only place from where the lake is accessible by boat. Around the reservoir different “Floating Bungalows” accommodate tourist from all over the world. 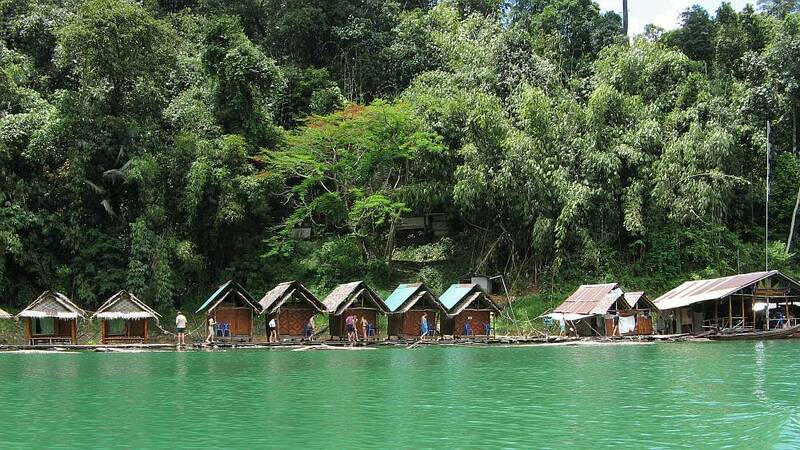 Each located in their own sort of bay, the bungalows float on rafts docked to land. In a forest, we will never know what are hiding inside so we should prepare ourselves when going to trek as following. Check the temperature before setting out; trekking in very hot weather can cause sickness. It is very important to take plenty of water with you and drink it often. For the daytime, trekkers are recommended to wear long pants and a long-sleeved cotton shirt and long socks to preclude scratches and cuts, and a hat and sunglasses to prevent strong sunlight. A light jacket should be taken by trekkers because it will get colder quickly in the forest when night comes. To prevent leeches, rub socks and legs with a mixture of salt and tobacco. If getting sucked, try to remove them with salt, vinegar, alcohol, tobacco juice or a lighted cigarette. To prevent yourself from malaria, consult a doctor for the right prophylactic before taking a trip. Do take a basic medical kit with you if planning to trek for several days. 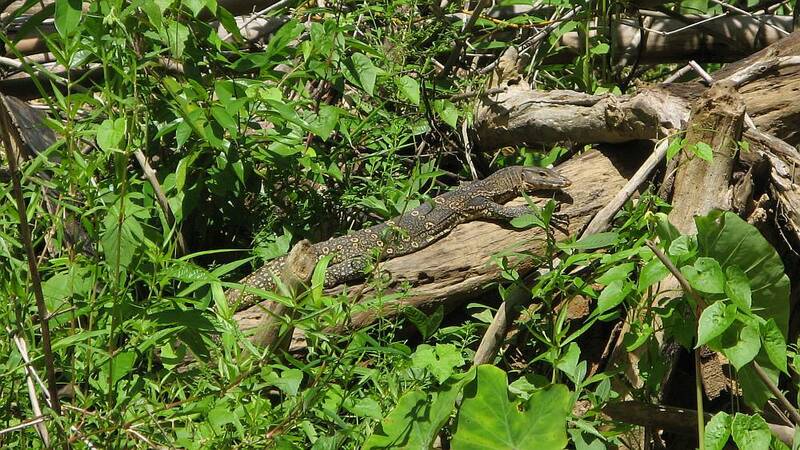 The Jungle is great to experience nature and enjoy being in the bush. Remember the jungle isn’t good or bad it just is. Wherever you go, no matter what the weather is, always bring your own sunshine. 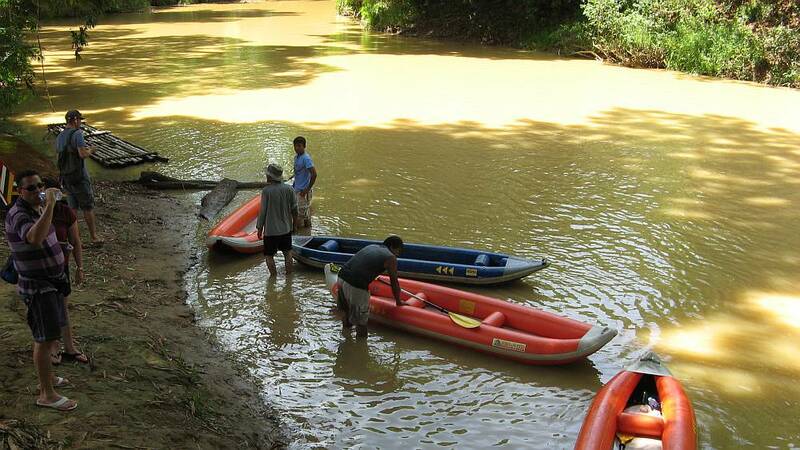 To explore a lake in the jungle by local boat. 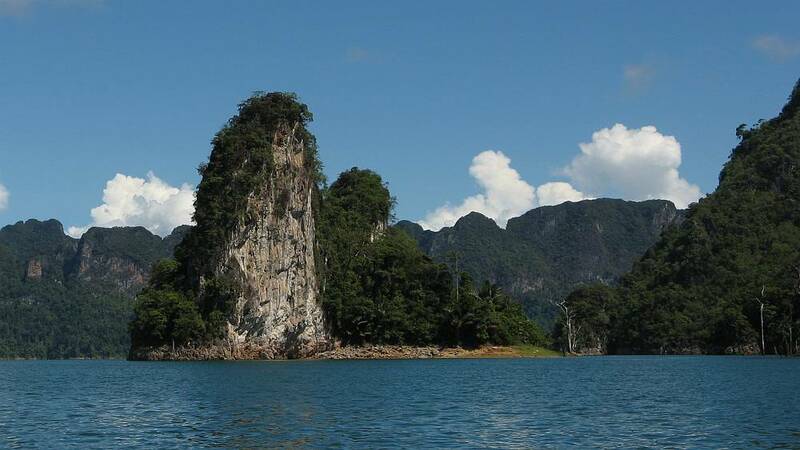 The lake is surrounded by Limestone Mountains and cliffs covered in tropical rainforest that rise up from the shore of the lake and disappear into the far distance. 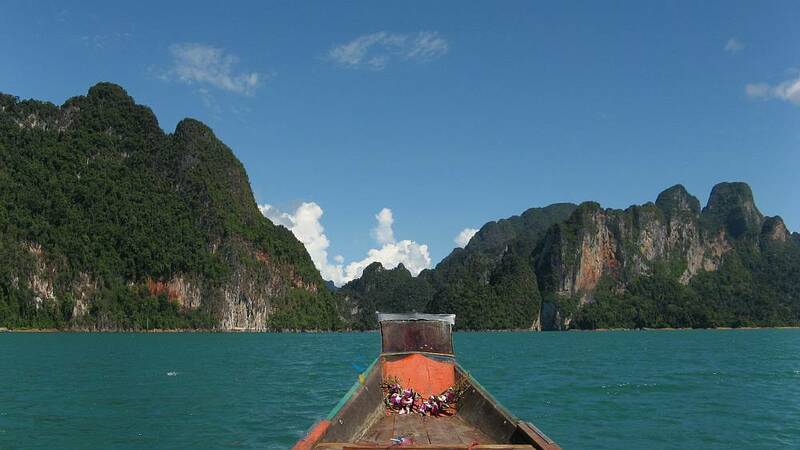 The scenery has been compared to Qualin in China or Halong Bay in Vietnam. Few people know of the lake and even less has visited it. 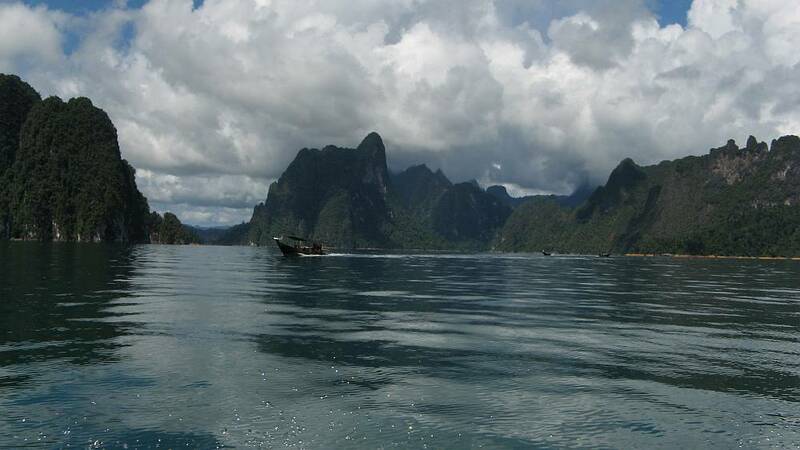 There are over one hundred islands in the lake and it is over 60 km from north to south. In the 70’s the area was a hide out for communists and students opposing the military dictatorship. Swimming suite, towel, sun protection, hat and sun glasses, water proof bag, insects repellant, one set of dry cloth. 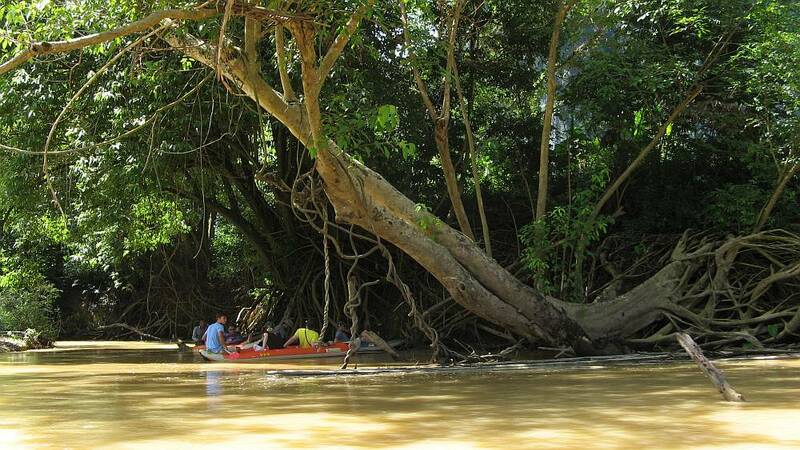 To explore the ecology of the rainforest, to see a great variety of exotic plants, tropical hardwood trees with huge roots, orchids, palms, ferns, bamboos, mosses; the variety is unlimited. Birds such as the hornbill live high up above, gibbon can often be heard calling to their mates, a macaque or leaf monkey may be heard swinging through the branches, every day is different but it is truly wonderful to discover the great variety of life forms that co-exists together. 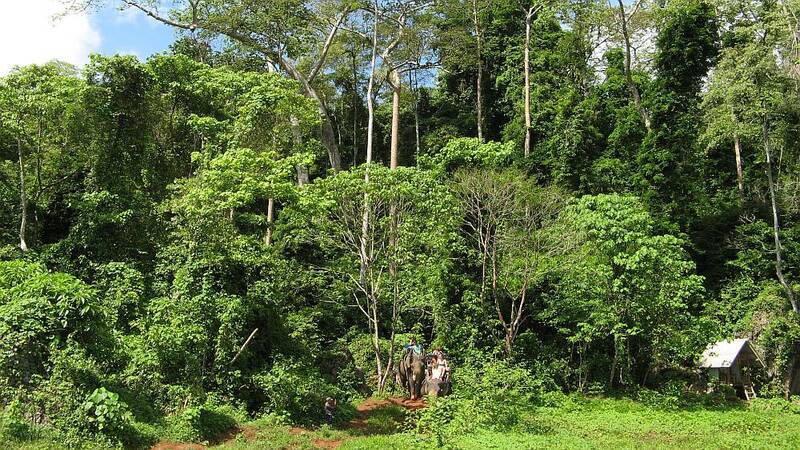 This can only by experienced on foot, take it slowly, look, learn and listen then you too will start to discover some of the secrets of the rainforest. 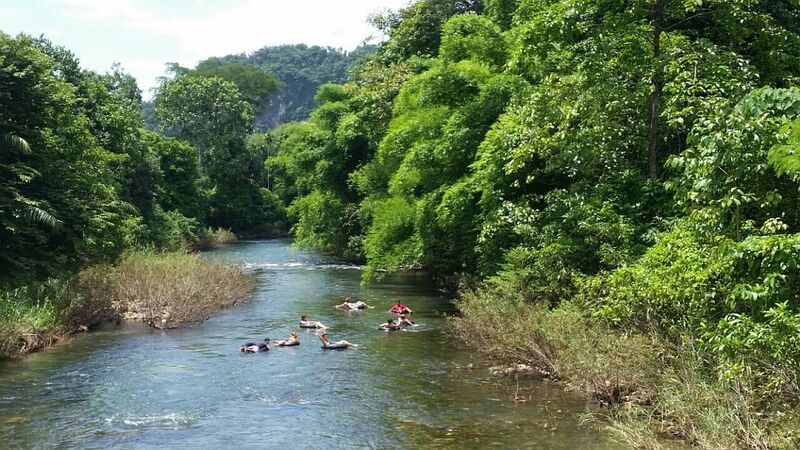 Jungle Trek by feet through Southern Thailand’s unique rainforest environment. Insect repellant, long sleeve and long pants, hat, sturdy shoes or sport shoes are advisable. 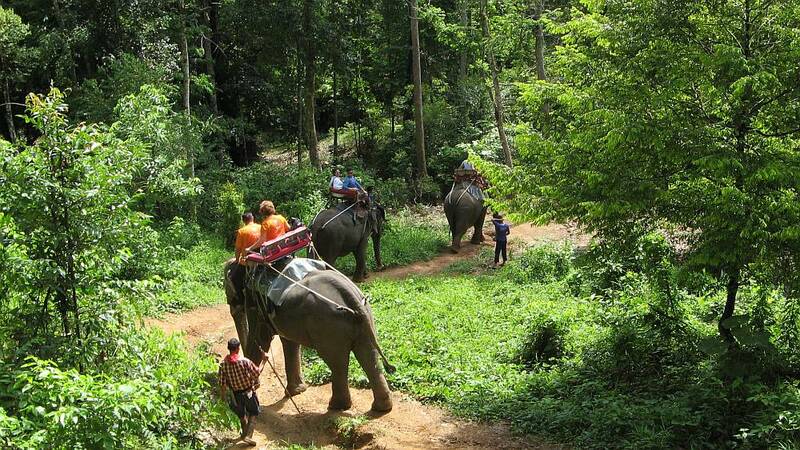 To explore the biggest rain forest in Southern of Thailand and listen to the sound of jungle on Elephant’s back. 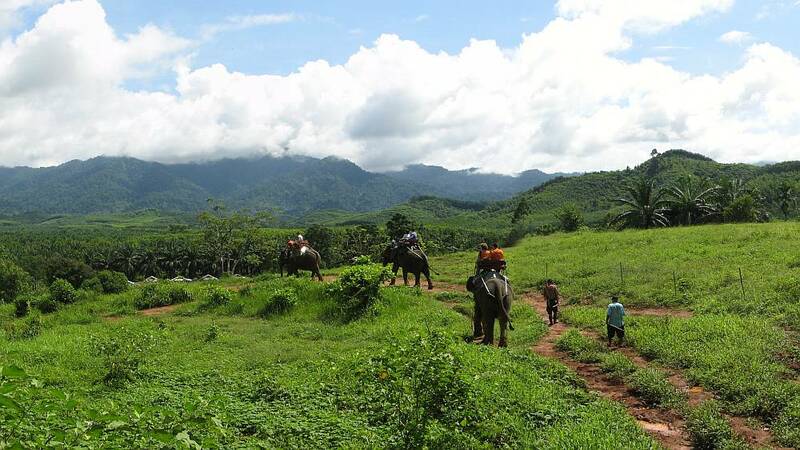 Experiencing the rainforest from on high, from atop one of the world’s largest but most gentle animals, is one of the best ways to see it, and one which children in particular absolutely love. 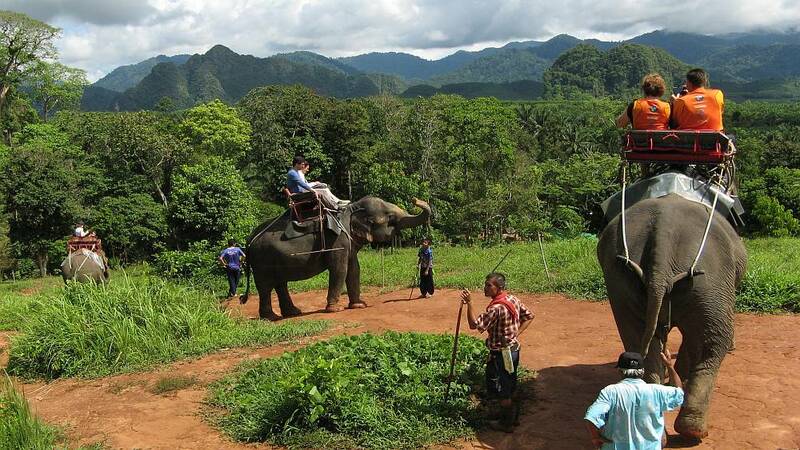 The elephant camp is a 20 minutes car ride away from Khao Sok. 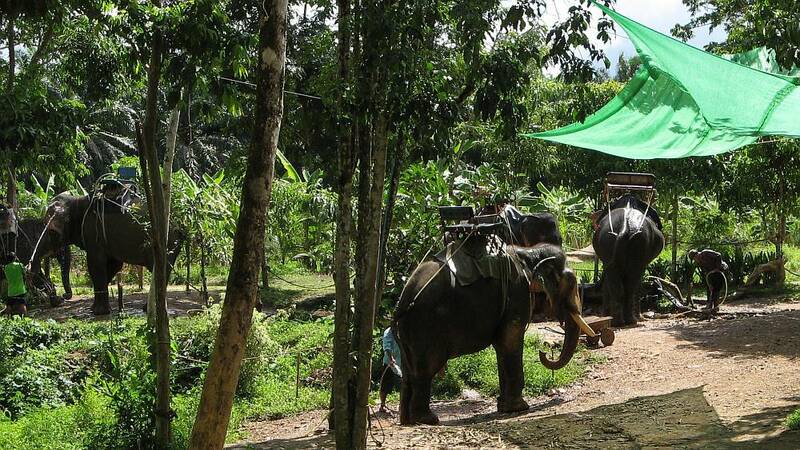 The elephant takes an hour to trek in a rubber plantation, palm oil plantation and rain forest. You can enjoy a panoramic view and excited along the way, at the end you can also feed it as a reward with bananas or sugarcane. 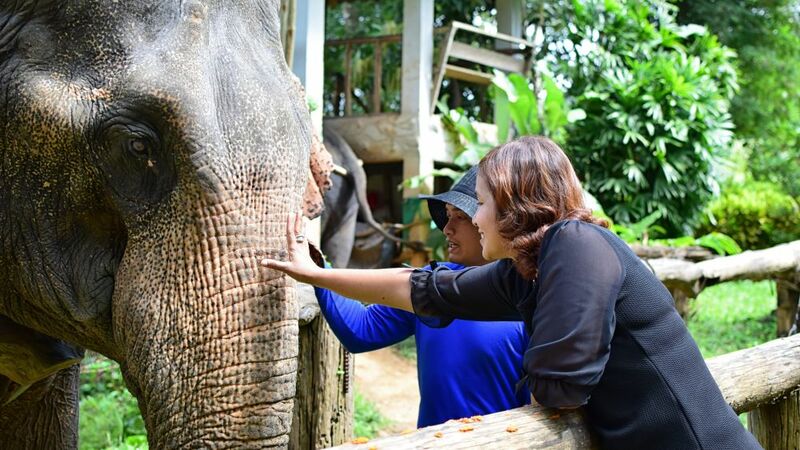 To experience feeding and shower ‘elephant” the biggest but kindness animal, have a look naughty animal spoil by natural and live in the cave at the local temple, after that enjoy the beautiful scenic and panoramic view at Khao Sok View Point, finished program by Mae Yay water fall, the easiest access water fall, in a wet season you can swim. To spot exotic birds such as the hornbill, and many snakes can be seen curled around the branches on trees along the Sok River. 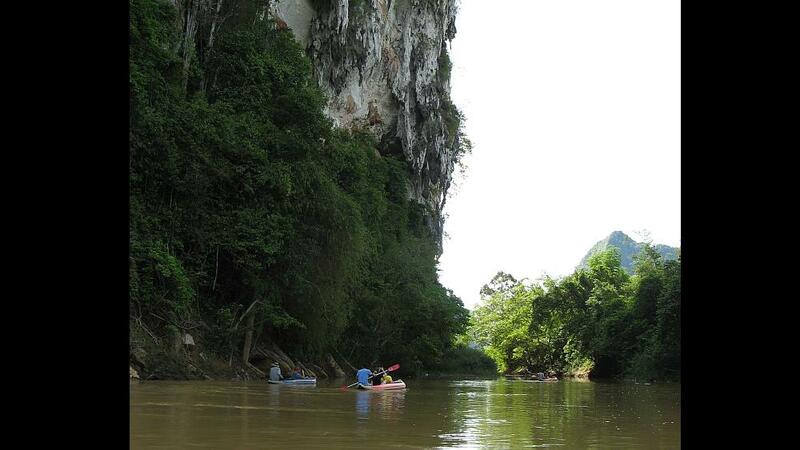 Canoeing along Sok River is a very relaxing way to see a different side of the ecology of the region. 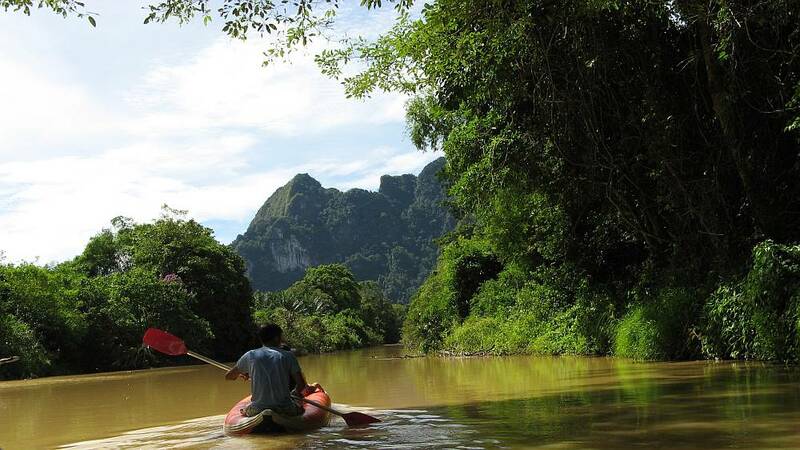 Our experienced guide who paddles for you, will takes you on a canoe safari along the Sok River. 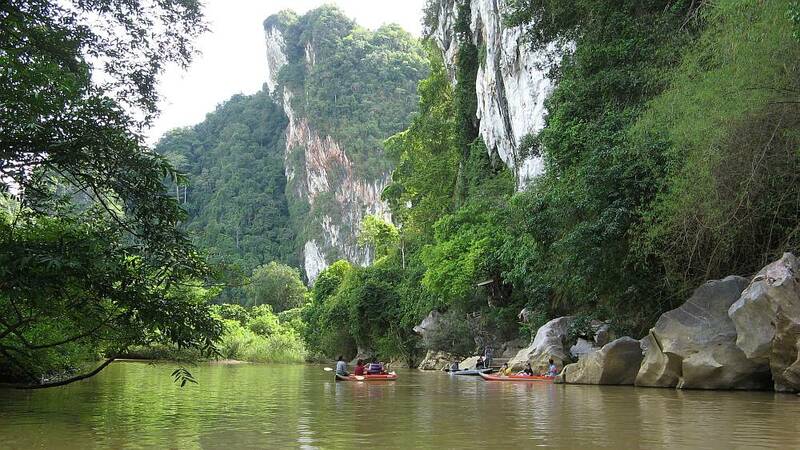 Breathtakingly beautiful limestone karsts form the backdrop for the evergreen virgin rainforest we paddle through. Insect repellant, comfortable clothes, sandal, hat and sun glasses. 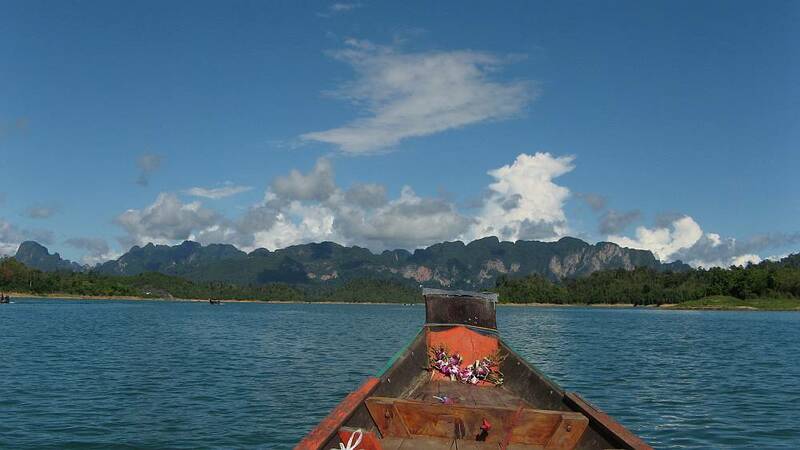 Enjoy the beautiful scenery beside Sok River. 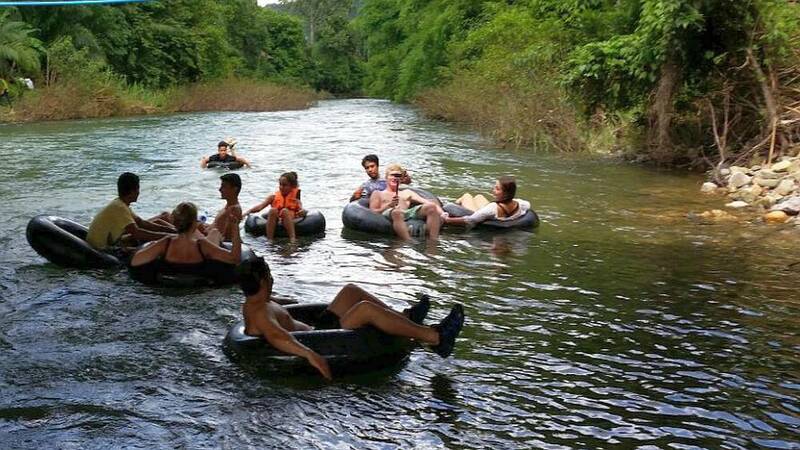 Experience a real adrenalin rush with our tubing experience. 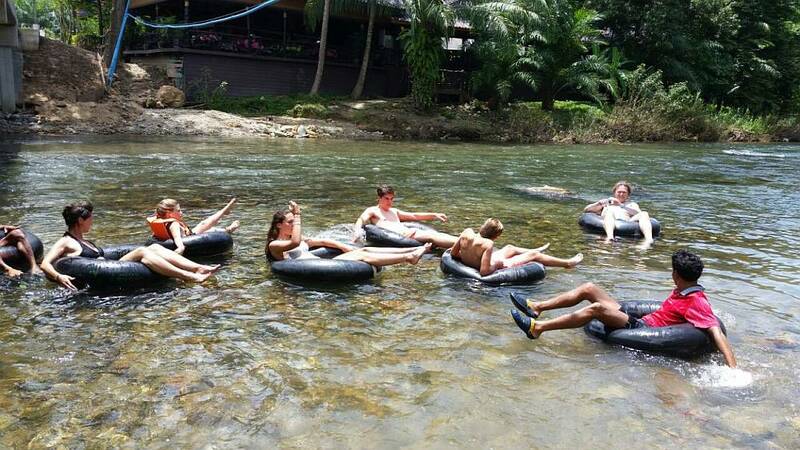 Tubing along Sok River. 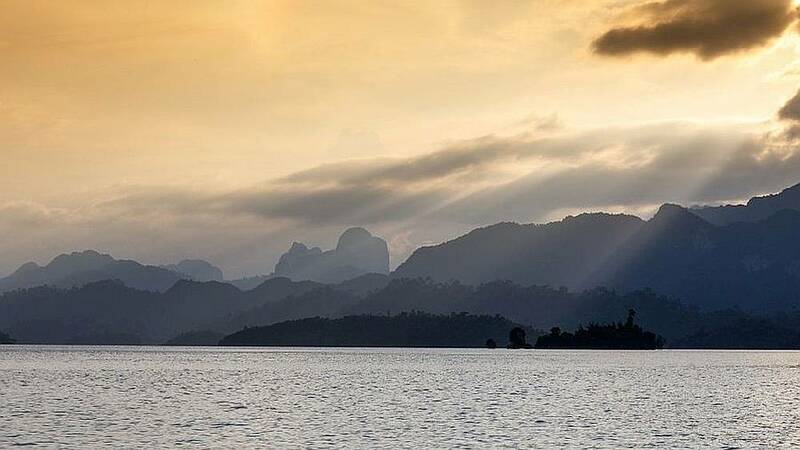 On the way as you cruise through the warm, green waters; you can view the surroundings from a fresh perspective, taking in the verdant riverside and keeping your eyes open for the area’s notorious wildlife; including hornbills and other exotic birds, and the odd inquisitive monkey, watching you with interest from the branches above. A very Special program. 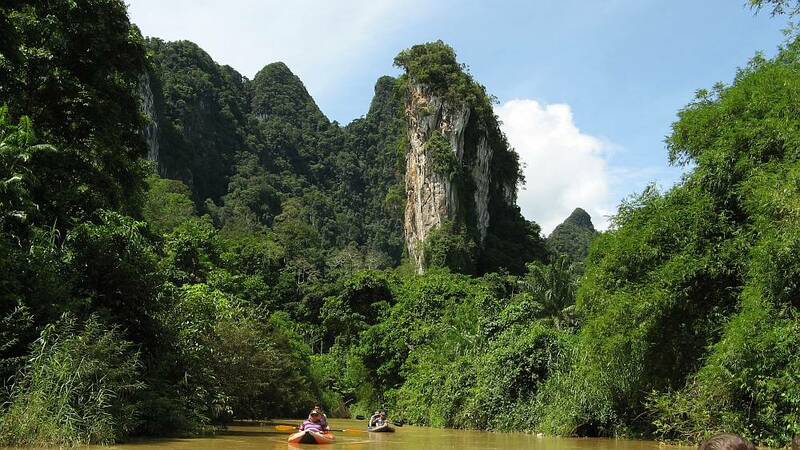 Experience one of the oldest rainforest on earth where you will get in touch with nature and observe wildlife in Khao Sok national park at night. Trekking in the one of the oldest rainforest at night time, keep your eyes and ears open, listen to the sound of jungle and wildlife. Don’t be too disappointed if you don’t see any animals – they don’t come out to give us a show! In fact they know exactly where we go and so will purposefully stay away. However if you don’t see them, you’ll certainly hear them! Insect repellant, long sleeve and long pants, sturdy shoes or sport shoes are advisable. Soaking in a hot spring can be wonderful therapy, for a number of reasons. The heat and subsequent sweating have a deeply cleansing effect on our skin and entire body mind system. 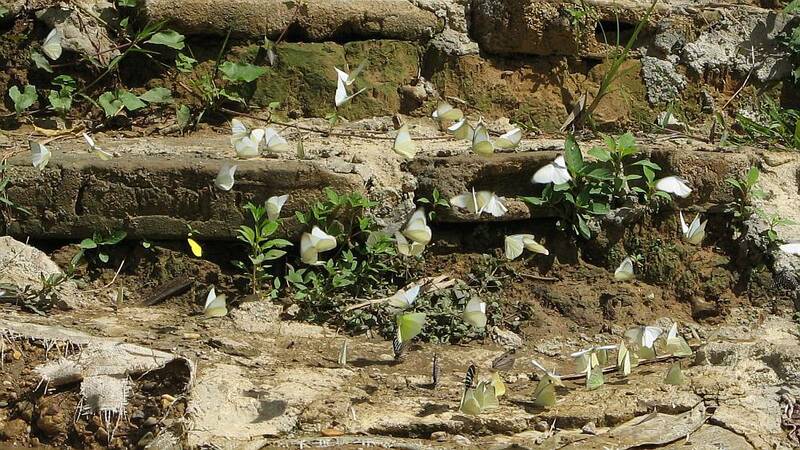 The specific mineral content of the spring will offer its unique benefits. 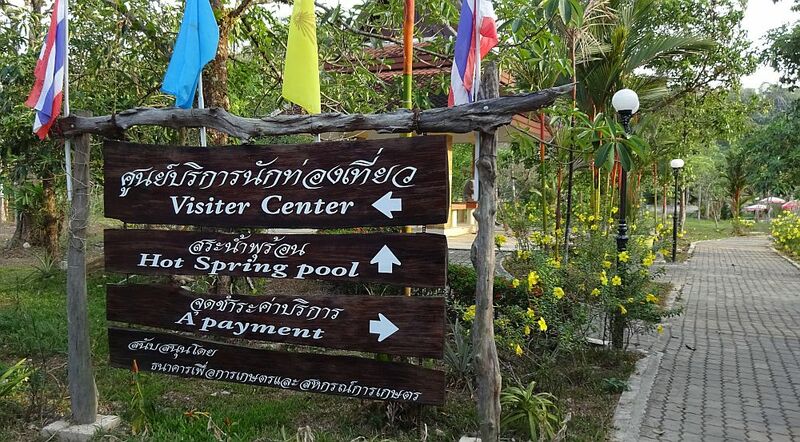 As such, hot springs have the capacity to balance and harmonize our body mind, quite naturally. Sightseeing by the long-tailed boat on the most beautiful and unique Chiew larn lake “Guilin of Thailand”. 09.00-09.20 a.m. Pick up from the resort, one hour drive by local minivan or car, takes you to Rachaprabha dam where your guide and your boat captain is waiting for you, on the way the tour guide will make one stop at Ta Khun market where you can take cash from ATM, buy some snack and necessary things for one night on the lake or just for taking a look. Dinner will be served, stay overnight at basic raft house. After an early wake up and a quick coffee, departure at 6:30 for a morning safari by boat along the shores, scans the shores to detect any wild life to observe around. 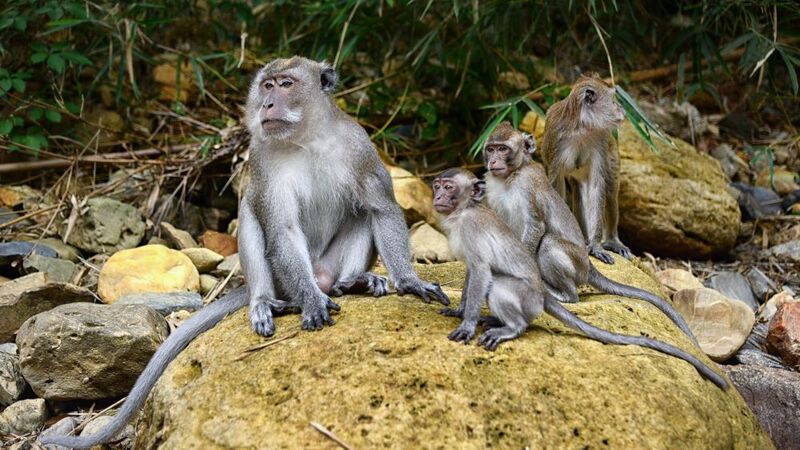 Long tail macaques, pig tail macaques, dusky leaf-monkey, gibbons, monitor lizards, horn bills, eagles are the more commonly seen. 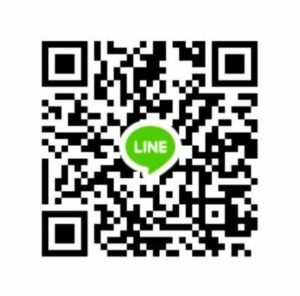 You are then free to follow your guide for a very nice hike into a pristine forest. You go by long tail boat until the start of a trail. After 45 minutes’ walk you reach an adventure Nam Ta-Lu cave (Water cave) where some part of the cave the level of water is a little bit high and narrow. Anyways, you can stay relax and waiting for a group in front of the cave. 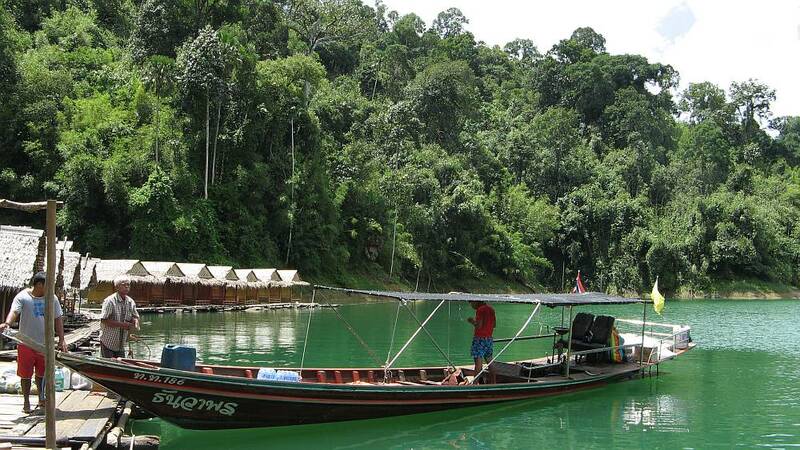 Lunch box will be served, take your time until departure, then take long- tailed boat back to the pier and transfer you to the resort, you will reach at resort in Khao sok around 14.30-15.00 hours. Insect repellant, long sleeve and long pants, hat, sturdy shoes or sport shoes, sandal, swimming suite, flash light are advisable. Tour program could be changed without prior notice due to the weather condition. 09.00 a.m. 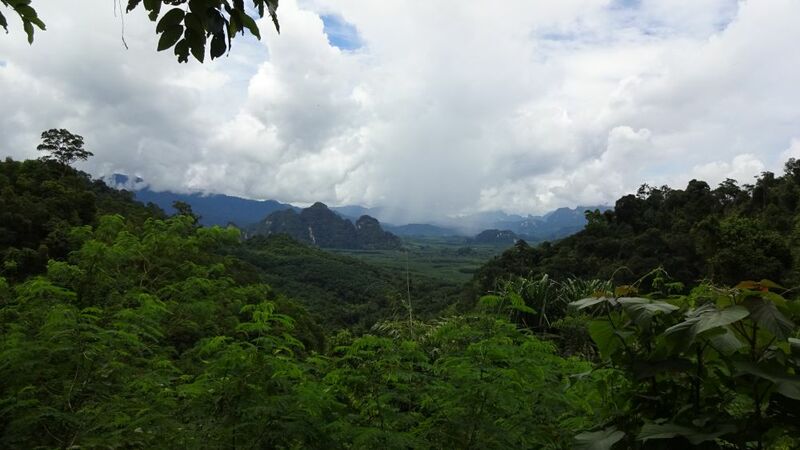 Transfer you to Khao Sok National Park head office, meet with our professional tour guide who will good take care and inform you about the park and all kind of plants and animal along the trek. Lunch at 1.00 p.m. at near the waterfall.After trekking through the jungle to the camping site, relaxing and enjoying your camping site. Dinner will be cooked by yourself, learn how to survive in the jungle, after dinner do night safari tour, keep your eyes and ears open, listen to the sound of jungle and wildlife. Don’t be too disappointed if you don’t see any animals – they don’t come out to give us a show! In fact they know exactly where we go and so will purposefully stay away. However if you don’t see them, you’ll certainly hear them! Breakfast, after that further trekking to see wildlife, plants and animal until lunch time (picnic in the jungle) Afternoon, depart for resort. Time to relax with our beautiful swimming pool. Insect repellant, long sleeve and long pants, hat, sturdy shoes or sport shoes, swimming suite, flash light or head light are advisable. 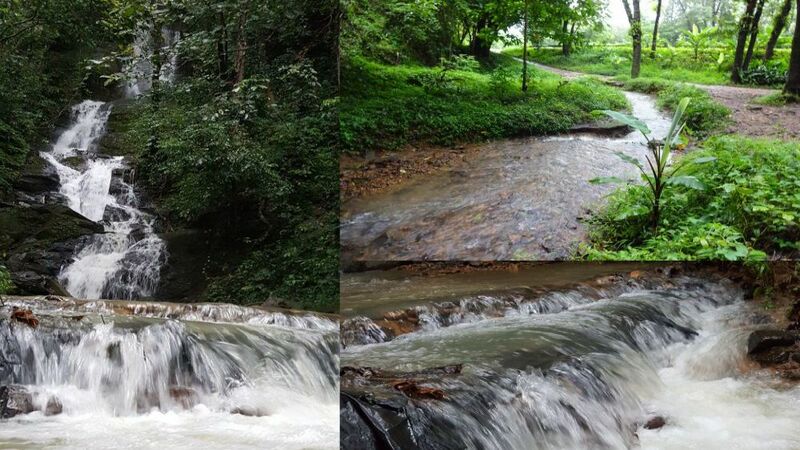 Tour program could be changed without prior notice due to the weather and jungle condition. The level of trekking is depends on the guests, but please be ensure that you are in full health. All children under the age of 16 must be strong swimmers. Parental discretion is advised when bringing children to all program tour. 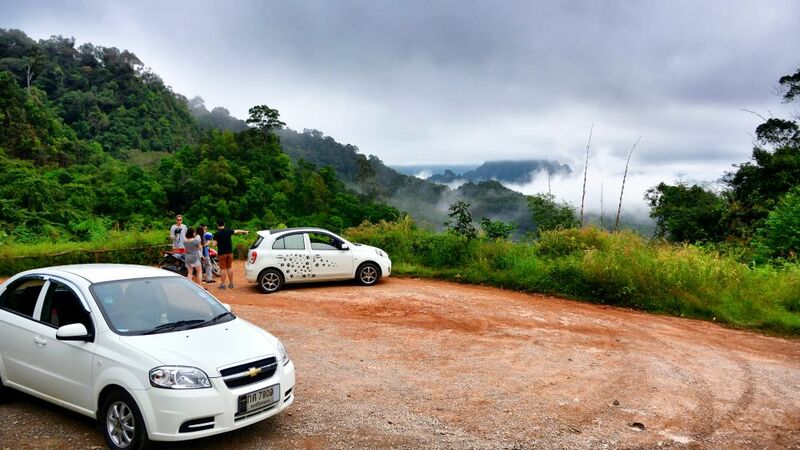 All guests undertaking a tour MUST have personal travel insurance covering you for the duration of your trip in Khao Sok. 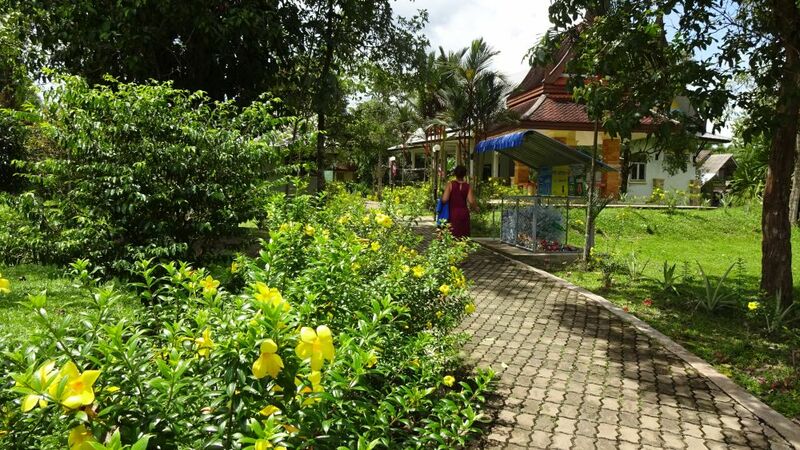 Montania Lifestyle Hotel does not accept responsibility for children under the age of 4, pregnant women, people of ill health or anyone who is suffering from any congenital disease, sickness or injury unknown to Hotel Khao Sok prior to arrival. When you book a tour with us, it’s mean we have to be sure you will not miss any program by prepare and book everything for you in advance. Cancel must be done 1 day before trip start for full day lake trip or minimum 3 hours in advance for other activities, otherwise 100% of any trip cost will be charged.